Waiver: This blog post has absolutely nothing to do with Charlie Hedbo (at least not explicitly). Getting back to the original intent of this blog, I now return to literary commentary. Today’s post is the first on a series about fictional suicidal heroines. I’m afraid to admit it, but I only just recently read Madame Bovary by Gustave Flaubert for the first time. While it has been touted by all sorts of Francophiles for its literary merits, I was more interested in reading it through a narcissistic lens. Recap: “Madame Bovary” as you probably know, is story of a famous, lovely, young French woman who marries Charles Bovary. She soon feels bored by married life and turns to extra-marital romantic affairs. The first of these ends because her lover is distracted and ultimately refuses to commit and run away with her. The second leads to more heartbreak and dire fiscal consequences. Once she falls too deep into debt, she gets hold of some cyanide and ends her life when she courageously swallows away her debt, dreams, and doldrum. The death leaves a stain on her community, especially on the psyche of her forlorn husband. With so many fallen dreams crumbling throughout the book, any empathy you start to feel for the characters is tainted by the overbearing notoriety of the author himself. After all, he wrote this book to satisfy his urge to critique the French bourgeois society of his era. We learn a compelling moral that unsatisfiable emotional needs, paired with the influence of several favorite bourgeois pastimes: reading and shopping and fantasizing, lead to one woman’s fatal downfall in the form of suicide. Her urge to “opt out” is compounded by the male constituents of the community who offer the option of support through sexual trade. At every corner, she faces the risk of losing her status, which is her most prized possession. This, in fact, proves to be worth more than her life to her. It is ultimately more “affordable” to expend her own life, than to risk losing her social status. However, the novel’s particular focus on the fatal attraction of debt-inducing behavior was particularly poignant for me. Parallels between the risks associated with a female livelihood in this novel and my own life lead me to believe that beyond the book’s superficial warning against frivolity, there is another more compelling historical relationship between her (Madame Bovary) and me (Je Suis). Not only do Madame Bovary’s material demands lead to her downfall, there is a more sardonic depiction of female psychology at play. Her love of fiction, her fancy, her imagination and her wish to transcend “daily life” are actually what cause her demise and mobilize her debt. “Daily life,” after all, lacks passion. It lacks the extremes of emotion and it continues onward in a highly predictable manner. Flaubert is taunting us by drawing the line and reminding us that actually, the only people who are free from the risks that debauchery entails are privileged male artists like himself. From a writerly perspective, the style of Madame Bovary has been cited for establishing what we now call “realism.” I was particularly entranced with the descriptions that gave such a compelling illusion of truth. The thick residue of time and space melted away so that I really sympathized with Madame Bovary, reading this book. This story led to profound self-evaluation on my part. This novel of female escapism and its hazards parallels the framework supporting my writing endeavors. Purportedly, Madame Bovary dispels the false, romantic illusions of the bourgeois class. In that regard, I have interpreted it as a stark, but brilliant portrayal of someone like me. At the same time, it allures us with the beauty of the senses, the decadence of extreme emotional range, and Ms. Bovary’s courage to singlehandedly take down an entire provincial, sexist community of men with a defiantly independent form of female nihilism. Perhaps, most of all, it is this that captures my imagination. I love Madame Bovary for her defiance and her reckless approach to what is ultimately the destruction of personhood by way of ruining her own body’s material value in a patriarchal society. She explodes out of its confines with her own death. This leaves the question, was Madame Bovary ruined by a toxic frivolity that led to her eventual demise, or did she succeed as the ultimate heroine of material escape? 1. The urge to stay materially equal or superior to our peers in fashionable appearance, dress and lifestyle. 2. The combined disincentive to work that the traditional conceptions of marriage and motherhood imposes on women. This leads to our economic disadvantage. Of course, this is less prominent in this era, but many women must still contemplate this dilemma. I’m cautious towards making a statement about aesthetics of American literature because I find this particular national construct menacingly impossible to comment on. One qualification is that by the end of this post, I will have mentioned a rather limited set of authors, all in orbit of the work of Susan Howe. Unfortunately, her influences are white-washed, and for me, weak in that sense. Another qualification is that hopefully, I won’t descend to the cliché of capitalistic spectacle as a compelling concept for American aesthetics. For me, the term spectacle is not important for what I want to say. 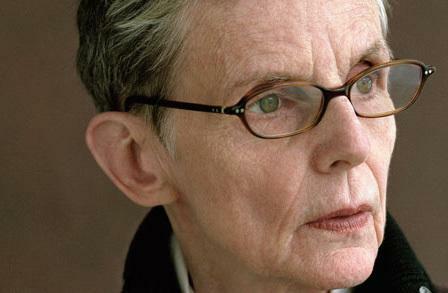 Aside from those comments, I’m intrigued by the creative interpretations of the poet Susan Howe, whose work expresses the need to gain a sense of belonging within a national literature as multivalent and diverse as that of the United States. In some poets’ work, the desire to commemorate becomes quite intimate and fueled by longing due to a lack of collective identity. For those who are exiled from within, batted around the workplace and the suburbs of the U.S. like a pinball, who find no collectivity anywhere but in the relationship of an author gazing on the lines of another author, commemoration forms a private, but nevertheless political act of friendship and alliance. The legibility of two-ness transcends that sour American individualism that merely services an invisible machine. When no longer reflecting a past homeland after immigration, authors have sought to establish identity based on the familiarity of textual belonging and curatorial quests for predecessors or some kind of artificial ancestry. Commemorations such as Susan Howe’s My Emily Dickinson and Robert Duncan’s H.D. Book establish unpredicted alliances that cross boundaries of time and gender. Individuals thus re-knit their work into the fold of other singular works in a way that sparks with potential. Similarly, these two commemorations reflect a defensive mechanism put forth by poets against the critical or academic rendering of American culture. Their intimate etching of influence marks the resistance to theorists whose diagnosis collects upon their fore-runners like dust. Similarly, commemorations express resistance to the capitalistic shellac of advertising and Hollywood that is defined and exported as American-ness by media corporations in the form of mass-produced cultural objects. Instead, poets stake claims to a hidden path of culture developed through a close, slow, drawn out intimacy that capitalism will never know. My interest in American literature is the in part due to the slow-birth of textual alliances such as these two works that oppose results-based or conceptual works. While identity politics increasingly sub-divides groups according to traits with labels that sometimes form such splintered patterns that they merely invite the advance of newly emerged crevices to shatter identity anew. Sometimes identity services a form of further stolen flexibility from within the bounds of ‘human.’ The increasing specificity of categorized personhood is a symptom of the neo-liberal agenda of individualism. American authors set themselves apart from one another through ever-smaller categorizations, and they have perfected the art of identifiable personhood by epitomizing individuation. Our canonical figures are each distributed as iconoclasts of some sort, symbolized for their distinguishable traits or habits. However, in works of commemoration, we see a gesture that slightly evades such individualism. In works of commemoration, the smallest form of collectivity that one could possibly invoke—a pact between one living author and one dead—comes to life in full spectral resilience. Each poet who commemorates digs up a grave and invites the corpse into an intimate consummate exchange. What necrophilia! And yet, it gives us hope to see some sort of combined effort that is glorified as such. Whatever its feeble form may suggest, it is still a form of that ever-persecuted elephant in the room of American politics, the collective. This poetic weed is bound to rise, in spite of the fact that the U.S. government all but disallows its own unity as a collective body for the sake of the neo-liberal agenda. In my opinion, writer’s commemorations form a hidden, American, guerrilla formation of solidarity against the shadow looming overhead. Howe revels in this confusion, and she claims its identity as feminine. She traces this theme back in time to one of the documents of English textual history in the United States, in the Antinomian Controversy, when Anne Hutchinson’s over-pious “enthusiasm” for radical faith-based Puritanism threatened the church leaders’ sanctioned authority, and she was therefore punished by banishment into wilderness: the convenient wall-less prison devised by the courts of early American settlers. Nature, God, or natives would thereby do the work of punishment that each sentence of exile implied, in the minds of the persecutors. We should never forget how American settlement was in part spawned by a chain reaction of westward moving religious exiles. The puritans were purged from England to Boston, and they continued only to purge their own dissidents further west. Howe writes about Hutchinson and her counter-tradition ghost that haunts other texts with regards to textual marginalization caused by editorial practices. The shaping of her words for the historical record by the earliest ministerial/rhetorical think-tank censors in the U.S., provides a basis for what would eventually follow. Howe notes that this clamping-down of culture simultaneously parallels the proliferation of another more manic and enthusiastic form of textual marginalia production, as well. The pressure of censorship spawned the babbling noise of highly indeterminate excitement, perhaps just a form of textual anxiety, but nevertheless a trace of something, exemplified by Emily Dickinson’s trunk of slant-rhyme fascicles and other texts that Howe cites. The simultaneity of schism and non-obedient enthusiasm marks the unevenness of American culture and its textual production. Reflecting on American history of textual practice, as well as politics, Howe is able to assert that forms such as schism, gap, fragment and absence create a compelling theme in some American texts. For me, these unexplained absences reflect the non-binding agreements waged by false colonial peace treaties with natives in the past, but also the contemporary manipulation of media and information control sponsored by the C.I.A. The distinction between what is said and unsaid in the United States has always been a consciously perceived, yet indefinable threat. The uncertainty towards a kind of magnitude of loss that simultaneously pairs with an uncertainty towards the magnitude of space, possibility, and freedom. This dual uncertainty is reflected in the absences of experimental texts, including Howe’s emphasis on spaces of the page, H.D.’s use of palimpsest, T. S. Eliot’s use of the fragment, and Hemingway’s iceberg theory. Going back further, we find absences in the form of Emily Dickinson’s dash and Melville’s Bartleby and his precarious absence of desire to perform human subjectivity. One of the most powerful effects of these absences is their assertion of literary non-rational production that opposes the necessary completions and well-defined presences of logical discourse and identity. Refusal towards logic itself, through the imposition of absence, forms a possible underlying critique of how America’s science fetishism is unique for it’s disconnection from the humanities. Poetry expresses the exile of humanities from its Frankenstein offspring: modern science. Perhaps deep down, in the poetics of this country assert some kind of reactionary re-rejection back towards science. The anti-rationalist gesture of missing syntactical components is for me an embittered response towards the schism that our academic institutions interjected between the humanities and the sciences along with a simultaneous and by no means contingent militarization of U.S. society. Science, in this strange schism, seeks to purge humanity from the authority of ‘nature’ with no new nature to colonize. Thus, we have rockets futilely launching outward to space, mounting forms of toxic waste, and unprecedented extinctions. While this is a rather general impression of a very complicated set of aesthetic hypotheses, American culture in some ways appears as a repository of strange experiments that look incongruous in relation to the mass-produced commercial culture that reaches for a total form of cultural manipulation. I think they are expressions the failure and insignificance of this control. I must state (again) that I have mentioned a rather limited set of authors, all in orbit of the work of Susan Howe. I hope to qualify this set of impressions by suggesting that this is only one lonely corner of American-ness in an endless field of interpretation.